Ukrainian forces have shelled the territory of the self-proclaimed Lugansk People’s Republic (LPR) four times over the last 24 hours, LPR people’s militia said on Saturday. “The settlements of Frunze, Logvinovo and Zhelobok came under fire,” LuganskInformCenter quoted LPR people’s militia as saying. 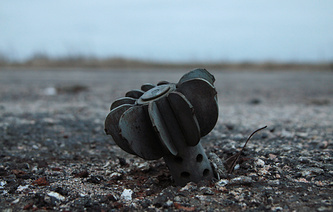 Ukrainian forces used mortars, grenade launchers and weapons from infantry fighting vehicles. The latest agreement on ceasefire entered into force on 29 December 2018, ahead of New Year and Christmas holidays in Donbass. The ceasefire agreement was reached by participants in the Contact Group on settlement of the situation in Donbass.